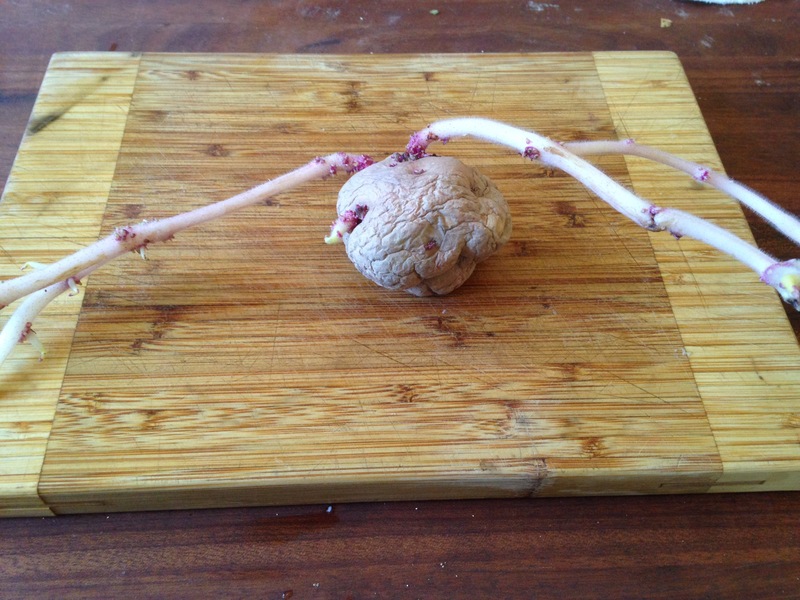 I thought I had settled the whole kale issue in the fall with The Trouble with Kale. Turns out, I didn’t because last week, on the eleventh of February, I walked down to check out the garden. 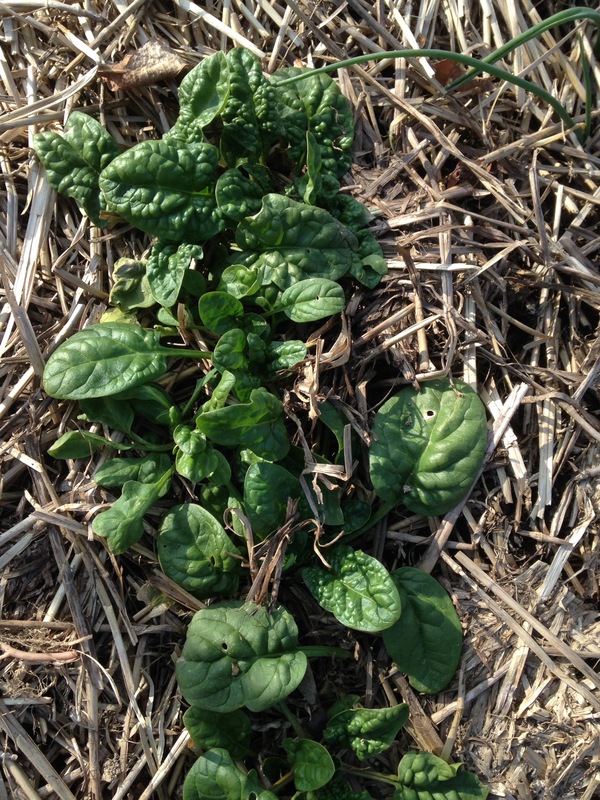 I discovered both spinach and kale cheerfully surviving the Pennsylvania winter with just a light layer of straw mulch. Today, February 18th, I went down with my scissors and harvested both kale and spinach for a salad. 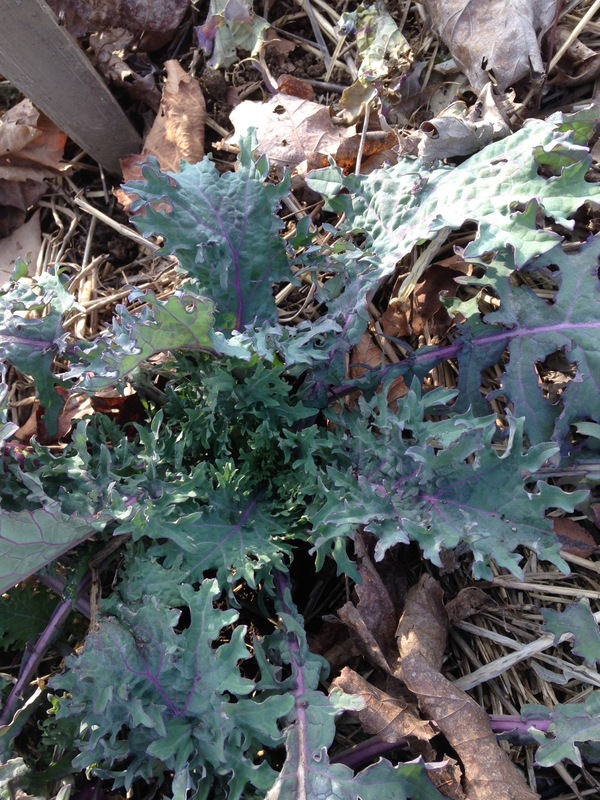 The kale had new growth; there were a few larger frost bitten leaves around the edges, but the inside of the plant was actually growing. Now admittedly we have had a very mild winter. But the temperatures have dropped to 8-10 degrees several times and one week in particular it was that cold all week. The best thing about this is Fresh Greens. In. February. So for those of you who live in a year round warm climate, excuse me while I SHOUT IN JOY! I’ve been trying an experiment this winter in trying to cook as much as I can with what’s on hand. (Note the word trying used twice…) That means potatoes, onions, garlic, beef, eggs, frozen peppers, canned green beans, beets, frozen squash/pumpkin, applesauce, salsa, frozen okra, canned and stewed tomatoes, and pickles/relish/ketchup. The only vegetables I’ve been buying are mushrooms and carrots and an occasional red pepper. I had beautiful peppers last year, but none of them turned red (even though one variety was specifically a red bell pepper). I hope to remedy that this year — the frozen peppers are very acceptable. We haven’t been having many salads this winter. So it was particularly exciting to discover the growing kale and spinach. If you remember the one drawback to kale was the cabbage worms. But guess what? There’s NO cabbage worms in winter. So I’m rethinking the kale issue. If I plant it in September, I could have some greens in the fall and winter with no worries about cabbage worms. And this mild winter has me thinking of a hoop house to extend the season on both sides. Just a small one, maybe? Hoop House or not, I planted another row of spinach today and threw in some radishes for good measure. (They were just short rows…) It only took me ten minutes; it was last year’s leftover seeds and it still could snow in April; but I couldn’t resist planting something on Feb. 18th. Just because I could! 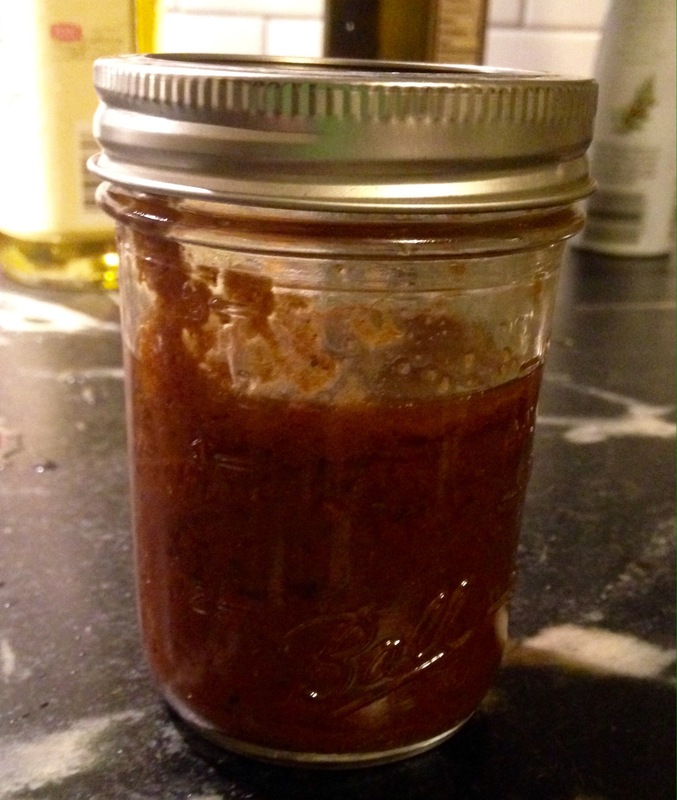 And since I only harvested enough for two kale and spinach salads, I’ll just have to give you one of my favorite salad dressing recipes. 6 sun-dried tomatoes soaked in 1/3 cup almost boiling water for about a half-hour. Drain the tomatoes, save the liquid, and coarsely chop the tomatoes. Mix the tomatoes with 3 T. mixed vinegars–balsamic, red wine, white wine, cider, or lemon juice. Add 1/2 t. salt and some fresh pepper. Put all the above in a blender or small food processor and pulse five or six times. While the blender is still running, add the liquid from the tomatoes, and then 1/2 c. extra virgin olive oil in a thin slow stream and blend until all the oil is mixed in. This is a thick, spoonable dressing. Dress it up with capers or chopped olives if you are serving it immediately; or you can add a tablespoon or two of mayonnaise or Greek yogurt to make it creamier. I have heard of diatomaceous earth, but I’ve never used it. Thank you so much for the tip. Maybe I could grow brussels sprouts and cabbage now? I’m certainly going to be trying this. Thank you!! You should have no problem growing Brussels and cabbage. Floating row covers also work very well if you get thin in place before the moths start laying eggs.